We are delighted to share that our colleague, Shabbir Hassanali, Engagement Manager at Accounting & Business Consultants (ABC), has been honored by The American Institute of CPAs’ (AICPA) as a recipient of the 2017 AICPA Standing Ovation Recognition Award for his exemplary professional achievement in Information Management and Technology Assurance (IMTA). The Standing Ovation Program recognizes the best young CPAs age 40 and under who demonstrate outstanding professional achievement in specialized credential areas. 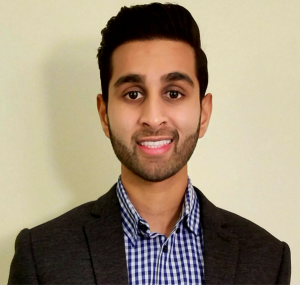 Shabbir is one of only nine CPAs in the nation to receive this prestigious award in the fields of information management and technology assurance. In his role as Engagement Manager at Accounting & Business Consultants, Shabbir has managed Sarbanes-Oxley (SOX) 404/302 compliance services and Accounting and IT consulting engagements for a variety of organizations in the Information Technology, Pharmaceutical, Manufacturing, and Security & Protection Service industries. A performance-driven professional, Shabbir holds the Certified Information Systems Auditor (CISA) and Certified Information Technology Professional (CITP) credentials. He has performed SOC audits for service organizations in accordance with applicable AICPA Trust Principles and Criteria; advised companies in reducing costs through strategic internal audit solutions; and developed and executed IT risk assessments utilizing various audit standards and frameworks. Shabbir was honored as a recipient of this year’s IMTA Standing Ovation Award at the AICPA ENGAGE conference in Las Vegas on June 12. We are pleased to congratulate Shabbir on this well-deserved recognition!